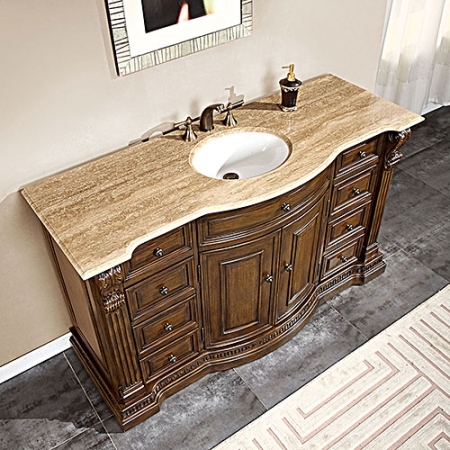 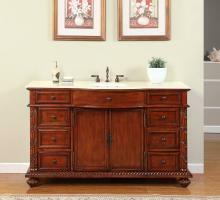 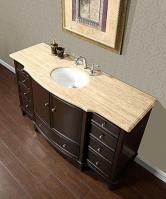 The traditional design of this single sink bathroom vanity is enhanced with a curved front and richly detailed carvings. 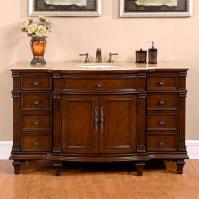 The warm tone of the American walnut finish will look great within many different types of dÈcor. 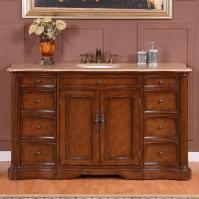 The double door cabinet and nine drawers provide ample storage space.